Dalefield’s Dane Lett is hopeful a three-match tour of India will hold the Black Sticks Men in good stead ahead of the Hockey World Cup later this year. 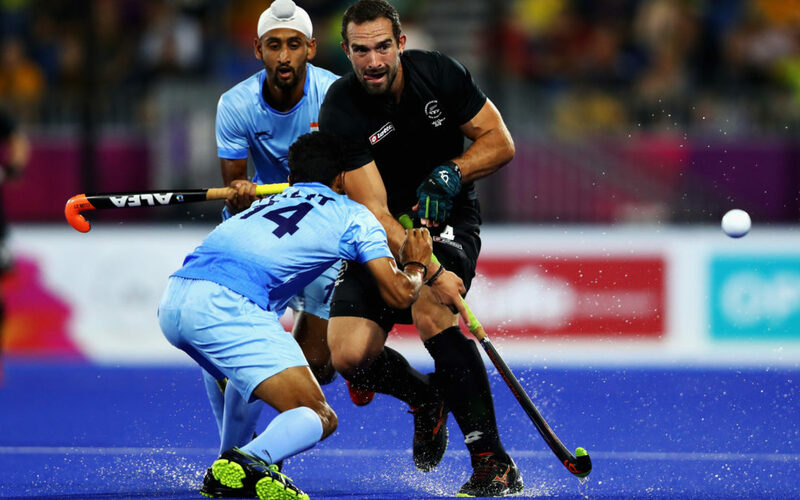 India will host the World Cup from November 28 to December 16, and this tour will give the Black Sticks invaluable information they can use at the event. Many of the players in the New Zealand squad, including Lett, have never played in India before. Swapping a howling Wellington southerly for stifling heat may not sound like much of an improvement, but Lett knows how important the series is. “India is a whole different kettle of fish – you’re really restricted on what you can eat and drink, and the humidity and atmosphere is quite different. The Black Sticks are heading to India from Japan, where they have just completed a four-match series, as well as a one-off test against Germany. They opened the series against Japan with a 3-3 draw, followed by a disappointing 1-7 loss. They rebounded quickly with a 3-2 win in the third test, but lost 0-1 in the deciding match. Against Germany, they managed to score four goals but conceded seven in a high-scoring defeat. The Black Sticks are ranked ninth in the world, with India sitting in fifth, one spot ahead of Germany. Lett said the matches against Japan were also part of their reconnaissance mission. “That’s the main reason behind the trip – we’re trying to get a little bit of information on Japan as well, because we have the 2020 Olympics there. The series is vitally important for Lett and his teammates as it could be their last chance to push for World Cup selection. It was hoped they may be able to play an international series against someone in October or November, but that has not been confirmed at this stage. “It’s always in the back of your mind that you’re building towards that [World Cup]. Lett said he was thrilled to be back in the Black Sticks environment, but being away from his family for so long made it bittersweet. “I’ve enjoyed being back in the environment a lot more than I have been in the past – with the staff and the playing group there’s a really good feeling about it. Lett will miss Dalefield’s match with Hutt United this weekend but is expected to be back in time for next weekend’s first round of playoff matches.